What a striking clock! 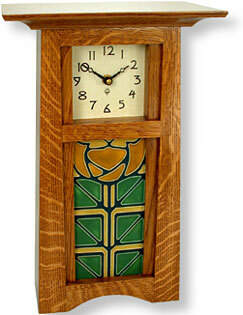 This handsome clock is shown in quartersawn oak with nut brown stain. 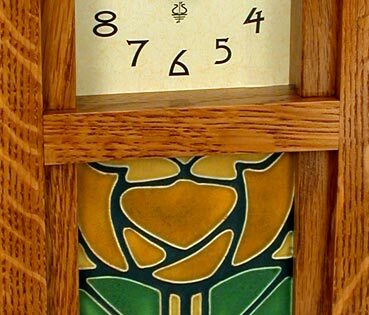 The handcrafted tile is 4" x 8" and shown in the Heirloom Rose polychrome pattern. Quartz movement. Measures approximately 9" wide x 14" high x 6" deep.